Grace Azenabor has always associated herself with being an African, an athlete and a student. But until her second year at Ohio State, she had never associated herself with being a woman. The first time Azenabor thought about her identity as a woman was in a women’s leadership class. The most important thing she learned? “Women are really able to do anything that they want, as long as they put their minds to it,” she said. “Although we don’t always get the recognition that we deserve, keep working hard because even if people don’t see it, there’ll always be someone who will, and that’s always going to be an opportunity to inspire others,” Azenabor said. 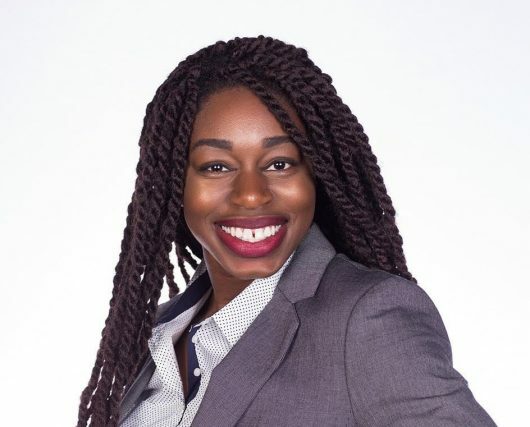 Now a fourth-year in marketing and economics, Azenabor has kept herself busy as a dedicated member –– and now president –– of the African Youth League, a hammer thrower on the varsity track and field team and a member of Zeta Phi Beta sorority. Born outside Dallas to Nigerian immigrants, Azenabor said embracing her African heritage has always been a large part of her life. So when she came to Ohio State, finding an African league was a top priority. She immediately joined AYL her freshman year and quickly climbed up the ranks, becoming public relations chair her sophomore year, vice president junior year and president this year. Not only did Azenabor find an avenue to raise awareness around issues in the African community through AYL, but she also found a home that united her with students just like her. “It’s hard sometimes when you don’t see people who look like you in the same spaces that you are in, which is part of why I’m so passionate about AYL because I’m very passionate about seeing African people succeed,” she said. Though her role as president keeps her busy, Azenabor’s unwavered dedication to her sport offers her a different perspective into her own womanhood. After walking on to the track and field team before starting her freshman year, Azenabor started her student-athlete career as a jumper, and switched to hammer throwing in her second-year. However, for Azenabor, competing in a strength-intensive sport that is “masculine in nature” doesn’t steer her away from her passion, even when she feels like she’s not strong enough. “I really do think that the drive that comes from being a female athlete in a pretty masculine sport has carried over into everything else [I do]. It all stems from the desire to still want to be great as a female athlete here,” she said. Even with her leadership roles on and off the field, Azenabor said as a woman of color, being a student at Ohio State has been the biggest adversity she’s had to face. This is especially true in the Fisher College of Business, where she said she’s often one of a few women in her economics classes, and usually the only woman of color. For Azenabor, however, she copes with this adversity through the drive and confidence she’s obtained from her time in AYL, on the track team and in her sorority. “It’s more so taking those experiences from those other activities that I do into the classroom and into other professional settings because I feel like that’s when I face adversity, that’s when I feel left out and that’s when I remember that I am sometimes the only one,” she said. Despite the issues she personally faces, Azenabor hopes to someday empower business women in Africa to become leaders in their own professions. Azenabor’s drive hasn’t only come from her own experiences, but from a young girl she knows from her hometown church.